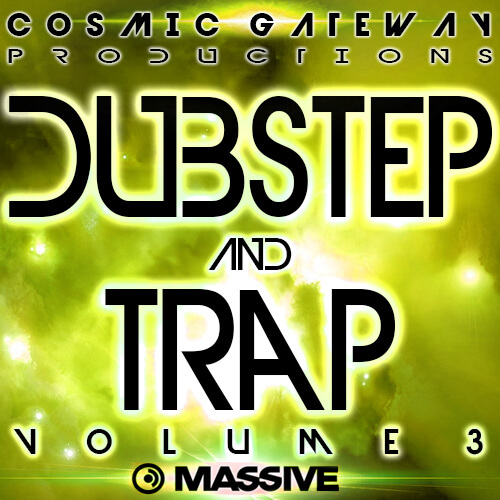 Cosmic Gateway Productions presents ‘Dubstep and Trap Vol. 3’ a soundbank with 61 killer presets guaranteed to take your music to the next level! This pack comes with growls, lasers, screamers, trap style 808s, sweeps, builds, drops, arps, wobbles, plucks, pads and more! As a bonus we’ve also added 3 classic “hey!” and “whaaat!” samples to complete your dubstep and trap projects! This soundbank was inspired by artists like Skrillex, Datsik, Nero, Excision, Kill the Noise, Diplo, Knife Party and Bassnectar.